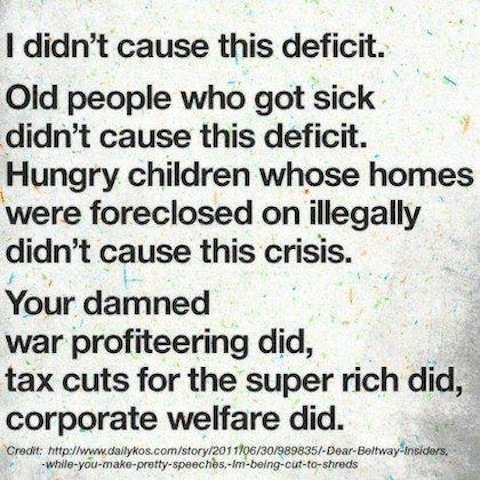 I didn’t cause this deficit. Old people who got sick didn’t cause this deficit. Hungry children whose homes were foreclosed on illegally didn’t cause this crisis. Your damned war profiteering did, tax cuts for the super rich did, corporate welfare did. Found on Being Liberal’s Facebook Wall. Originally submitted by Brandon W.